New advances in science are often inspired by the natural world and a new type of hydrogel robot is no exception. It aims to emulate glass-eel larvae which are clear when hatched. This near transparency provides the eels with an effective camouflage mechanism, designed to help them complete their long journey from the ocean to the rivers where they carry out the adult part of their life cycle. These tiny eels are also capable of swimming at high speeds and exerting large amounts of force relative to their small size. Scientists from the Massachusetts Institute of Technology (MIT) have been working on creating an underwater robot which mimics these characteristics. Potential uses for this robot include medical applications and underwater surveillance. The team at MIT, led by Xuanhe Zhao, associate professor of mechanical engineering and civil and environmental engineering, started off by moulding hydrogels into hollow tubes. To do this, they used a combination of laser cutting and 3D printing. The robot design is similar to a human hand, with the tubes replacing the fingers. These tubes were then injected with water via a syringe, which allowed them to curl or stretch with a reasonably high level of force and speed. As well as being soft and moist, hydrogels are biocompatible which means they are well suited to use in surgical procedures or implantable devices. Whilst soft robots have often in the past been made from silicon, this is not as biocompatible as hydrogel which limits their application for medical purposes. The team at MIT has been looking to develop the use of hydrogel robots for use in surgeries, providing a potentially much softer alternative to hard surgical instruments used to manipulate tissues and organs during operations. They are also exploring the possibility of using this robot in underwater surveillance, with their robot being capable of achieving nearly the same level of camouflage as the eels that inspired them. This is due to the fact that the hydrogels the robots are made of are made almost entirely of water. This means that they possess very similar acoustic and visual properties to water. This means that when used underwater they become virtually undetectable. The level of camouflage of these robots was tested by placing them against a bright, multi-coloured background, with the robot almost impossible to see. During tests, the robot demonstrated its impressive capabilities of generating a few newton of force per second. 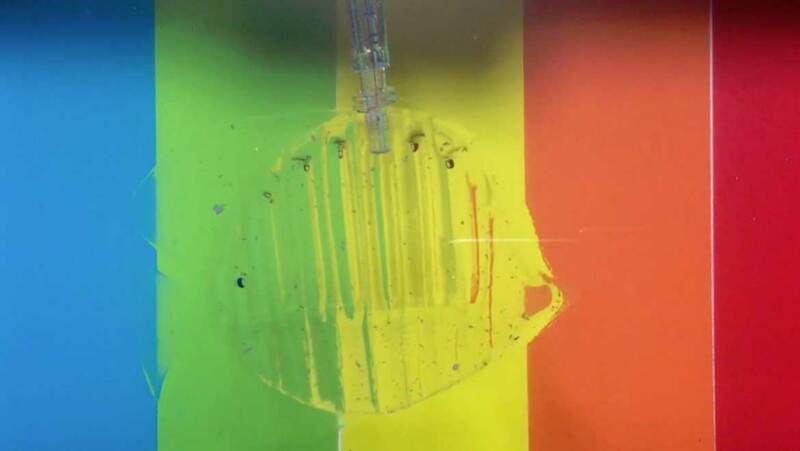 Previous hydrogel robots have used osmosis (whereby water slowly diffuses through a membrane) which in contrast only generates millinewton forces over a much longer time period of minutes or even hours. The robot showed off its impressive dexterity and speed during laboratory tests, where incredibly it was quick enough to catch a goldfish swimming past in the same tank. The robot’s force was offset by the hydrogel’s softness, with the goldfish being released without harm. Now that the team have successfully demonstrated the use of a hydrogel robot which uses pressure in order to move, they are hoping that both their team and other scientists will use the knowledge to refine the robot’s design for a range of applications.